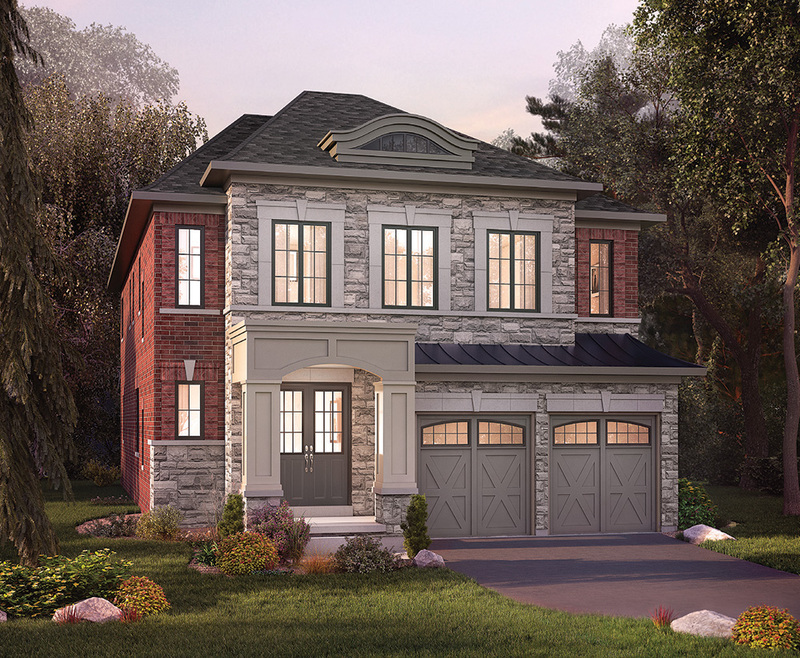 GERANIUM HOMES recently introduced Twelve on the Ravine, a limited collection of executive residences backing onto the natural setting of Highland Creek ravine in Scarborough. 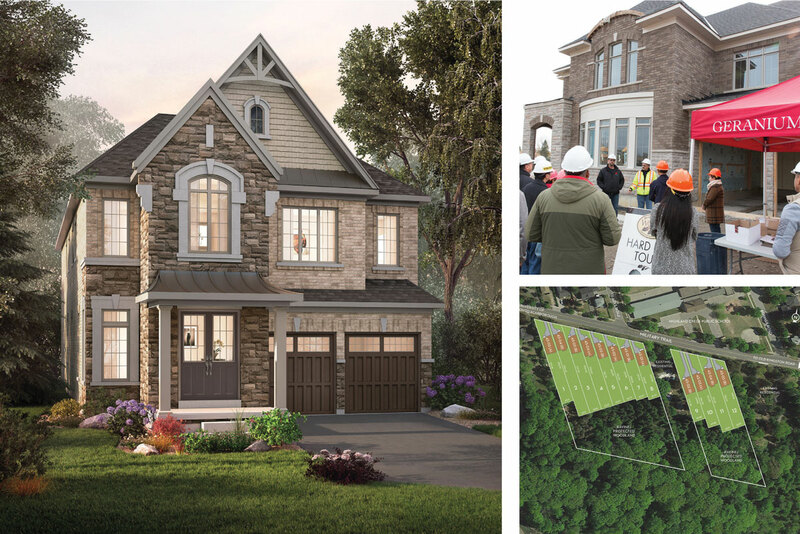 To set the stage for prospective buyers, the award-winning home builder invited preview registrants to attend a special Hard Hat Tour through a home under construction at a similar Geranium community. The tour took place in a 4,320-sq.-ft. home in the sold out Bloomington Woods neighbourhood, just north of Stouffville. knowledge to help them make an informed buying decision,” Lane says. Twelve on the Ravine is situated in the Highland Creek neighbourhood, east of Toronto’s downtown (on Military Trail near Old Kingston Road). In a secluded natural setting the location is convenient to schools, parks, shops and only minutes to the Toronto Pan Am Sports Centre, and University of Toronto Scarborough Campus. TTC is at the door and commuting into the city is easy with quick access to Hwy. 401. 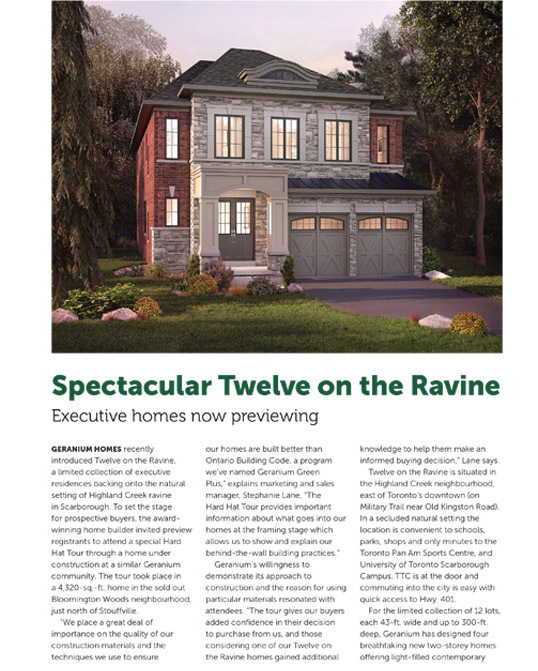 Twelve on the Ravine is situated in the Highland Creek neighbourhood, east of Toronto’s downtown (on Military Trail near Old Kingston Road). interiors in four-bedroom floorplans, some with an optional five-bedroom layout, and offering a variety of desirable upgrades to customize each residence. Timeless architecture in combinations of brick, stone, and stucco are highlighted by attractive front porches and covered rear outdoor loggias. 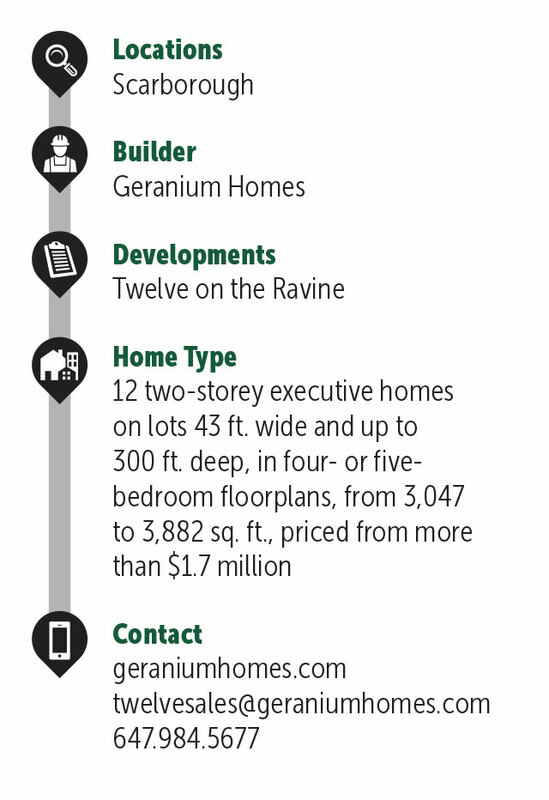 Homes range in size from 3,047 to 3,882 sq. ft., priced from more than $1.7 million. creating neighbourhoods with families in mind. The company has an established reputation for quality design and construction. Geranium was proud to receive the industry’s 2014 Places to Grow Community of the Year Award, and in 2012, the Home Builder of The Year and Canadian Home Builder Association’s Grand Sam awards.